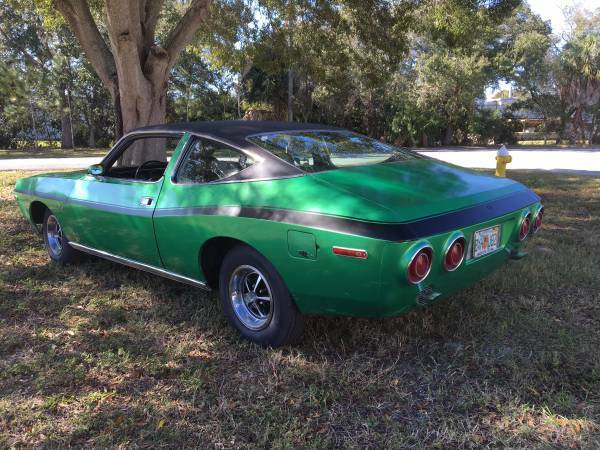 The Matador was a mid sized muscle car with boring looks that replaced the Rebel in AMC's lineup for the 1971 model year -- but in 1974 AMC released a restyled Matador coupe that ditched the classic capote de paseo and traje de luces for black wedding dress and a propeller beanie. 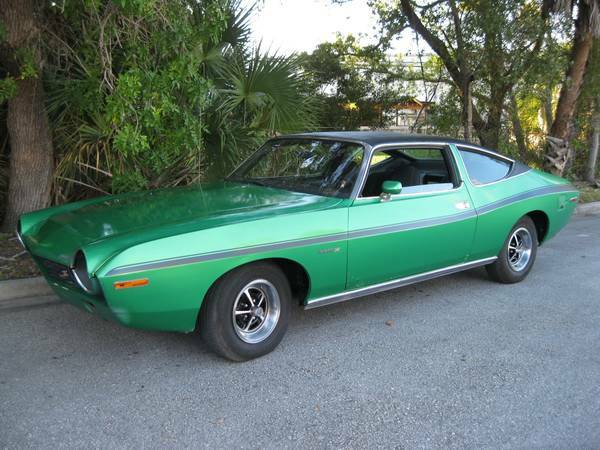 Find this 1974 AMC Matador X offered for $4,500 in Largo, FL via craigslist. Tip from FuelTruck. To say the Matador's styling was unique is certainly an understatement, but in the world of fishbowl Pacers and door stop shaped Gremlins, the Matador doesn't look bad today. Frankly, the styling has aged well and this de-bumpered version looks far more stylish than the sub $5k price tag would suggest. Powering the Matador is a 360 cubic inch AMC V8 equipped with a 4-barrel carburetor that would have been rated at 195 horsepower and 295 ft-lbs of torque. The original power isn't much for a big V8, but the seller has recently rebuilt the engine with new cam, lifters, gaskets -- perhaps with something a bit more sporty. 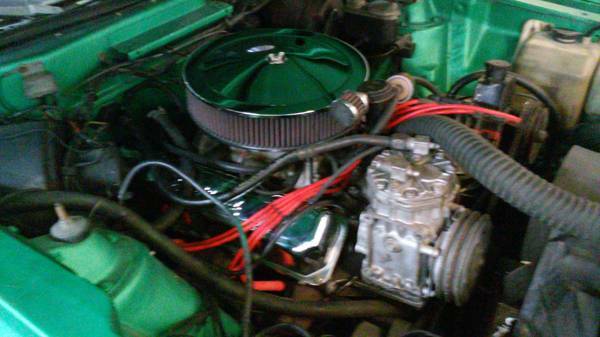 If not, more power is just a few aftermarket parts away -- intake, headers, carb, cam, heads, ignition -- you know the drill. But does this green one turn into a plane? There's that green bug from Bullit yet again! Agreed the bumper delete adds a lot. I like the way they opened up the rear bumper mounts to serve as an exit point for dual exhausts through the rear valance. I agree mrkwong. It is mean looking without bumpers! Buy the remaining dozen or so left alive and restomod the hell out them. This one just needs the stance lowered and some beefy pro-touring rubber. "in 1974 AMC released a restyled Matador coupe that ditched the classic capote de paseo and traje de luces for black wedding dress and a propeller beanie"
It is just about the coolest thing you guys ever wrote. It has a very amphibian look. Like a frog.